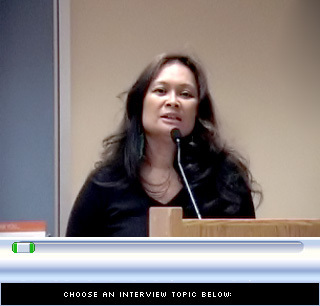 Cindy Domingo is one of the narrators in ourvideo oral history page. Active in the Alaska Cannery Workers and the Union of Democratic Filipinos (KDP), she is the sister of martyred local 37 leader Silme Domingo. The 1952 Local 37 yearbook edited by Carlos Bulosan is reproduced here in pdf. format courtesy of FAHNS. Seattle’s Filipino-American community created one of the most important examples of civil rights unionism on the West Coast. 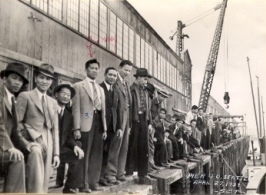 Starting in 1933, the unionization of workers in the Alaska canneries and the fields of western Washington gave Filipinos an important tool to fight for better wages and working conditions and also for civil rights. Filipinos and other Asian Americans have dominated the work force in the Alaska canneries since the industry’s emergence in the early 1900s. Led by Filipino activists, the Cannery Worker’s and Farm Laborer’s Union was launched in the 1933 and in the next few years succeeded in organizing much of the work force, despite violence that took the lives of its founding president and secretary. 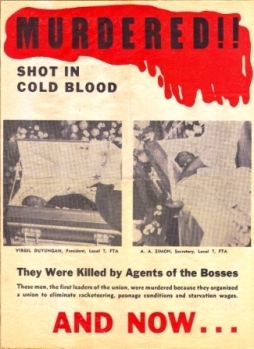 The cannery workers union has changed names and affiliations over the years since then, and has weathered serious internal and external difficulties, including, in the 1950s, government attempts to break the union and deport its leftist leaders; and in 1981 another set of assassinations that took the lives of union reformers Silme Domingo and Gene Viernes. But across three turbulent generations the union has survived. Today it is Region 37 of the Inland Boatman’s Union (IBU). This special section explores the history of the cannery union activism and the Seattle Filipino-American community. The links above and below include video oral histories with activists of two different generations, a pair of research essays that detail the history of the union, and a collection of rare photographs that are presented online for the first time here. Most of those pictures and much of the other materials presented here are the property of the Filipino American National Historical Society (FAHNS) and are made available through the generosity of Fred and Dorothy Cordova. Video Oral Histories: short biographies and streaming video excerpts of interviews with Dorothy Cordova, Fred Cordova, David Della, Cindy Domingo, Lynn Domingo, Frank Irigon, and Velma Veloria. Documents: We have a documents and publications including digital copy of the 1952 Local 37 Yearbook, a collector’s item edited by the renowned Filipino American writer, Carlos Bulosan. 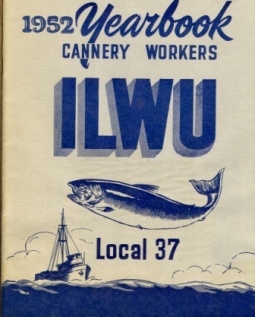 June 19, 1933 – Cannery Workers’ and Farm Laborer’s Union (CWFLU) Local 18257 formed under American Federation of Labor (AFL). November 4, 1937 – Seattle, Portland, and San Francisco locals leave CWFLU-AFL and join United Cannery, Agricultural, Packinghouse, and Allied Workers of America (UCAPAWA) under the Congress of Industrial Organizations (CIO). The Seattle local is UCAPAWA-CIO Local 7. 1943 – Local 5 of San Francisco and Local 226 of Portland merge into Seattle’s Local 7. 1947 – The Food, Tobacco, Agricultural and Allied Workers’ Union of America (FTA) succeeds UCAPAWA. The union is now known as FTA-CIO Local 7. 1949-1950 – CIO expels FTA International and Local 7 affiliates with International Longshoremen’s and Warehousemen’s Union (ILWU) to become Local 7-C.